For over twenty years, Jeff Olson has helped hundreds of thousands of individuals achieve improved levels of financial freedom and personal excellence. 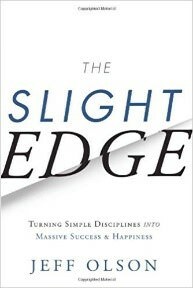 If you’re wanting to create powerful results, The Slight Edge offers simple yet profound, life-changing concepts that are tangible and can be easily applied today using your innate talents and abilities. Olson shares the ‘Secret to Happiness’ and the ‘Ripple Effect’ he discovered along his own slight edge path to success. The Slight Edge shows you how a certain way of thinking on a daily basis can positively impact your choices and lead you to the desired level of success and happiness you seek. It’s not just another ‘how-to’ book like all the others. It’s the key that will help unlock your ability to make your dreams come true. This book may have been written decades ago, but the content is still extremely relevant today. David Schwartz has long been regarded as the foremost expert on motivation. He maintains that the relative smallness of our thoughts is what keeps us from reaching our goals. Utilizing his proven step-by-step method, millions of people have learned to achieve success by changing their thought patterns. 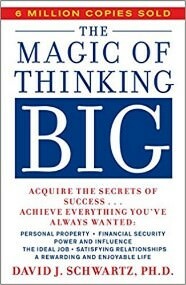 Whether you want to earn more money, gain power and influence, or find greater happiness, The Magic of Thinking Big presents carefully designed techniques that will help you: remove your fear of failure; make your attitude your ally; think and dream creatively & positively; think like a leader; turn defeat into victory; use goals for growth. Schwartz proves that if you believe you can succeed, you will. He presents the steps to help you learn and understand the habit of thinking and behaving in ways that will get you there. Tim Ferriss has interviewed more than 200 world-class performers such as athletes, celebrities, elite forces, and scientists. Tools of Titans deconstructs and distills the habits and routines of his interviewees into tools, tactics and actionable details you can use in everyday life, high-stakes negotiations, and large business dealings. 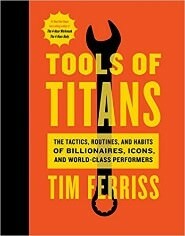 Ferriss says, these “lessons have made me millions of dollars and saved me years of wasted effort and frustration…It’s changed my life, and I hope the same for you.” Tools of Titans is the perfect book if you’re looking for outside motivation and need to look beyond yourself for answers and drive. 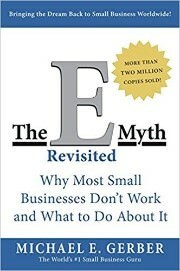 Michael Gerber does an excellent job at dispelling the myths surrounding the starting of a new business and showing how common assumptions become roadblocks for those who have already taken that step. Based on the premise that entrepreneurs make poor business people, E-Myth shines a guiding light on the life of how a successful business grows from infancy to maturity in a predictable and productive way. Gerber believes that businesses thrive because of innovation, quantification and orchestration. E-Myth helps you to develop a precise business system by offering an organized and regimented plan with tested, refined and scripted details. It takes you from the ideal to the specific by visualizing what true success is and ensuring you stay in a long-term success mindset. 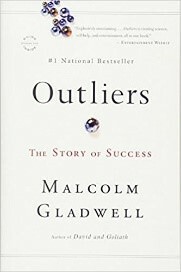 In this book, Malcolm Gladwell dubs “outliers” as the best and brightest among us, the most famous and successful. Gladwell challenges the long-held notion of what makes a ‘self-made man’. Gladwell makes the assertion that superstars like Mozart and Bill Gates don’t arise out of nowhere and clarifies what makes these high achievers different. His belief is that we pay too much attention to what they are like and too little on where they are from – their culture, family, generation, and upbringing. Through case studies and bits of trivia, Outliers tears down the myth of individual merit to say that no one makes it alone and explores how culture, circumstance, timing, birth and luck account for success. It presents the case that the world would benefit if more people were granted opportunities to fulfill their remarkable potential. Harv Eker believes that success is a learnable skill. Most notably, in Secrets of the Millionaire Mind, he suggests that from an early age we have a personal money and success blueprint etched into our subconscious mind that determines our financial well-being. Eker explains the principles of amassing wealth in two parts. Part I describes how our money blueprint works. Although initially it is shaped by childhood influences, it can be ‘revised’ continually to create and keep a high-level of financial success. Part II introduces the 17 ‘Wealth Files’ that give actionable steps to dramatically increase your income and accumulate wealth. Bottom line: if you think and act like financially successful people do, chances are good you’ll be wealthy too. Since being published in 1937, How to Win Friends and Influence People has been a best-selling personal development guide for over 15 million people. Warren Buffett read it because he was struggling to fit in at high school and says it changed his life. Carnegie’s time-tested advice on how to reach one’s maximum potential is just as useful today as it was then. He puts his rock-solid understanding of human nature and the principles and techniques of dealing with people into easy-to-read terms. The book’s key wisdom is drawn and illustrated from the lives of significant historical figures, world business leaders, and everyday folks. The How to Win Friends and Influence People success formula is 15 percent professional knowledge and 85 percent the ability to express ideas, assume leadership, and arouse enthusiasm among others. 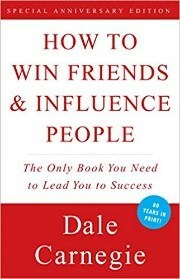 If you want to learn how to win people over and influence the change you desire, this is the book for you. In 2009, when Simon Sinek started a movement, he began to show people that if they wanted to inspire and lead those around them, they needed to become more inspired themselves. Start with Why begins with a fundamental question: Why are some people and organizations more innovative, more influential, and more profitable than others? 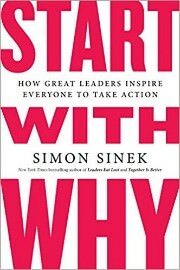 Sinek shows that some of the most persuasive and pioneering leaders in the world such as Steve Jobs and the Wright Brothers all started with their ‘WHY’. Their success hinged on the realization that people won’t buy into what they are touting until they understand the ‘WHY’ behind it. Start with Why illustrates this powerful idea through ‘The Golden Circle’ – a framework which successful organizations, movements and people think, act and communicate. 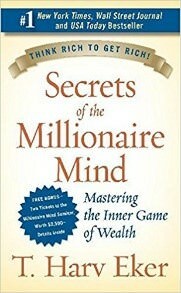 This book can lead you to levels of success you never thought attainable. Looking to exit your company well? In Finish Big, Bo Burlingham coalesces the interviews of dozens of business owners from a range of industries, and illuminates the differences between who had ‘good’ exits and who had ‘bad’ exits. He contends that procrastination can be costly, and that if you start planning early enough, the process can lead to a stronger and more resilient company with a higher market value. 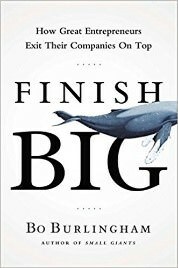 Finish Big showcases the insights, challenges and exit plans of several highly-successful entrepreneurs. It identifies eight key factors that determine whether a business owner will feel good after exiting their business. This book will help you make the right choices and look back at your journey with pride. There is scientific reasoning as to why habits exist. 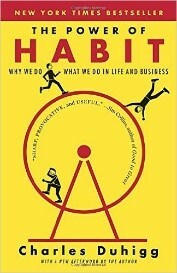 Charles Duhigg does an excellent job of distilling an impressive amount of research about the nature of habits and how they can be changed. He provides gripping narratives from boardrooms like Procter & Gamble’s to organizations such as the NFL, and knits together a whole new perspective and understanding of human potential. The Power of Habit presents an exciting discovery that if you want to successfully transform your business, your personal life, or your community, you must have a good understanding of habit formation and change. It is the essential manual on kicking unhealthy habits and hanging on to good ones. 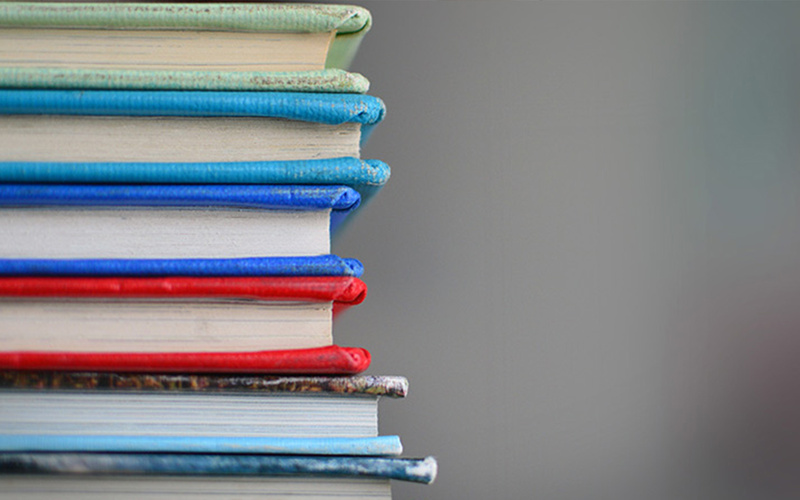 Reading each one of these books will help open your mind to take in a wealth of knowledge and improve your life. They will contribute to the realization of your dreams, aspirations and potential. They are chock full of instruction and advice from those who have gone before you and experienced the outcome you seek. Most of all, the immense value they have lies in the inspiration and motivation they provide so that you can achieve what it is you truly desire.